Thanks very much for the comments! 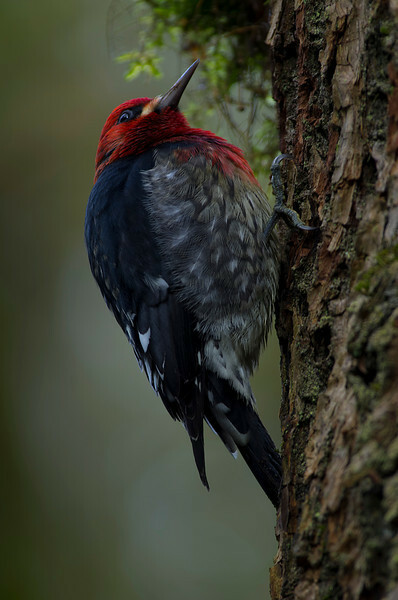 The bird is a red headed sapsucker and the shot was taken at Goldstream river. What a special bird, I have never seen one like this. Excellent job capturing this image!!!!!!!! !